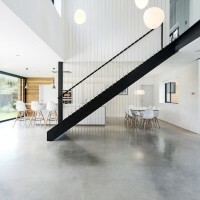 AR Design Studio have recently completed the extension and refurbishment of an existing house on the outskirts of Winchester, England. Nestled along a leafy lane on the outskirts of Winchester sits Kilham House. 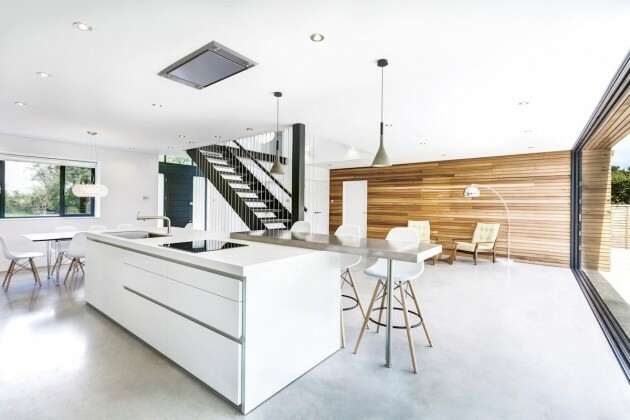 Once a tired building with a confusing layout, the house now boasts a contemporary update that really transforms the house into the five-bedroomed family home that it desperately needed to be. 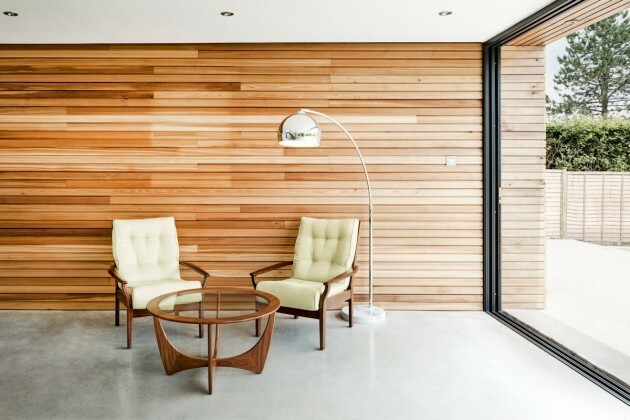 A grand, double-height entrance guides you into the building, immediately bringing you into the heart of the home which has now been become the main living space for the family. 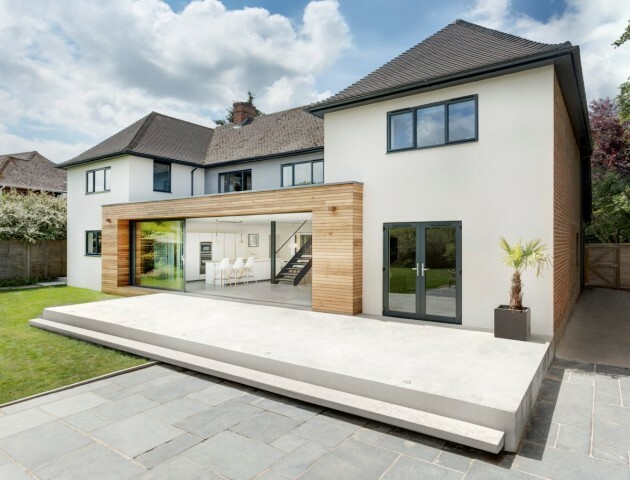 A large expanse of sliding glazing gives views into the garden, allowing the three children to run wild whilst the parents can relax in the central space and still keep a watchful eye. 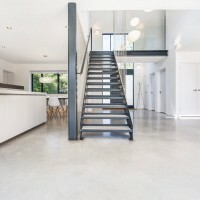 A key and exciting feature of the house is the staircase. 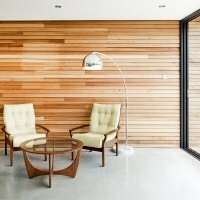 Centred in the property it acts as a locus to the project, dividing the space between the kitchen, dining area and the living areas. 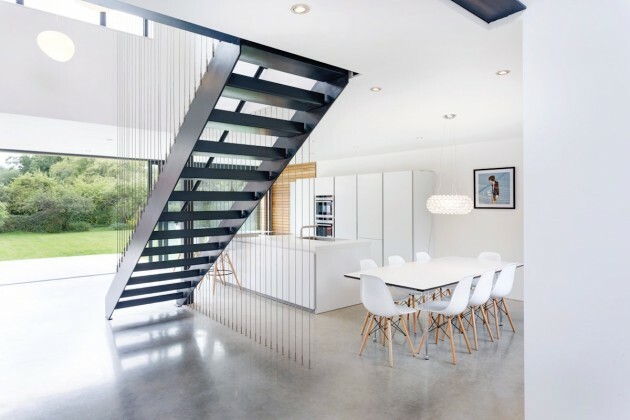 Steel wires hang around the staircase, enclosing it in a contemporary wrap whilst also forming part of the balustrade. The stairs take you up to the first floor and onto a bridge that flows across the double height entrance space. 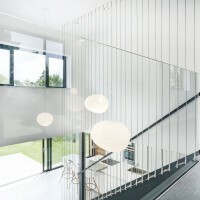 A tongue in cheek use of Foscarini’s Gregg pendant lights give a feeling of being up in the clouds, adding to airy and spacious feel of the central space. 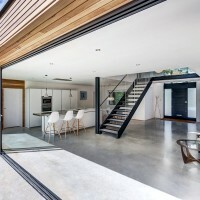 At the rear of the property a central timber form connects the two wings of the house and projects into the garden creating an architectural form that ties the whole project together. 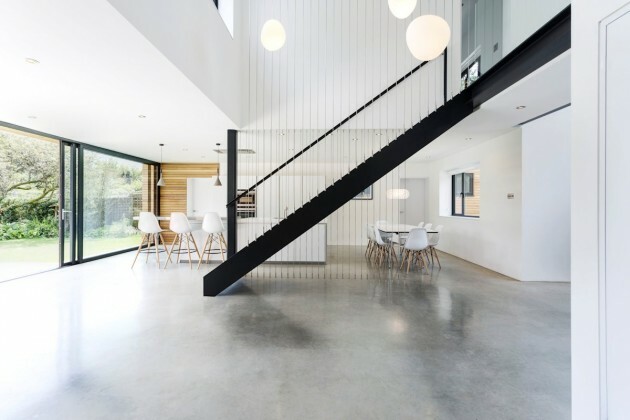 A large concrete plinth that steps down to the garden creates a place to relax and dine outdoors. 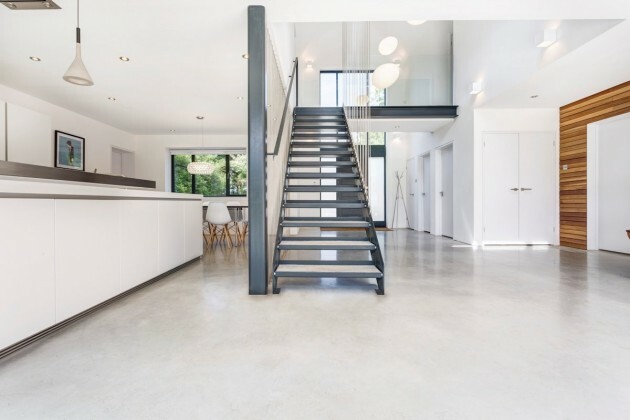 The concrete plinth flows into the property and makes up the entire ground floor surface. 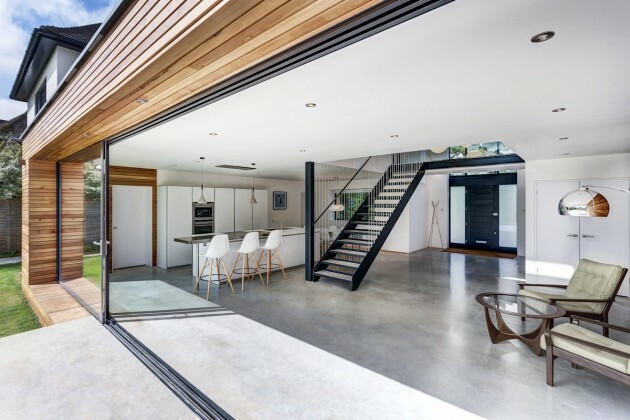 This use of material, mixed with the large sliding glazed panels that face onto the garden, blurs the boundary between indoors and outdoors.